"You used to be a vegetarian and now you're the biggest Carnivore on Earth!!" That is one of the funniest remarks I constantly hear from my Mum!! 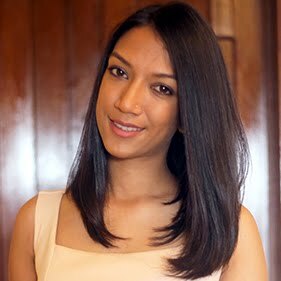 Fairly enough, I used to be a strict, ehm ehemmm sort of strict, vegetarian but then one of my amazing Sister-in-Laws, when I first met her, pushed me until I would try her own, and absolutely delicious seafood dishes! I would never consume seafood! Ever! She's such an amazing cook that I couldn't resist going back to being an Omnivore, not a Carnivore as my Mum claims!! Actually both of my Sister-In-Laws are amazing Cooks! They, too, inspire me a lot to cook! When I was a vegetarian and living in London, I would eat in Indian Restaurants very often! Veggie Patties from Subway had gotten too dull! And Paneer was something new to me because the Head of the Family - Mum - doesn't like anything dairy, except for her Chai, Tea. I had never consumed it before, and feasting on a Palak or Shahi Paneer in authentic Indian restaurants was heavenly! Not as Complicated as you think! And it is Healthy too!! Palak means Spinach and Paneer is Cottage Cheese! I used to make my own Paneer but now due to time constraint I have to make do with store-bought Paneer. My other Sister-in-Law recommended Nanak's Paneer and they work wonders. I have no complaints so far. And I usually buy the fried one, it saves me the time of frying them! Palak Paneer, though it looks sophisticated, is a very easy Indian dish to make and you will absolutely love it! It pairs well with Garlic Naans or plain rice whichever way you like it! In a pan, bring water to a boil, then toss in the spinach leaves. Water should barely cover the leaves. Let cook for 3-4 minutes. You will notice the leaves will become a bright green colour. Turn off heat. Drain the spinach leaves, using a colander and toss them together with the green chilli in the blender. Heat ghee in a pan set on medium low heat, and add the cumin seeds. Let them sizzle. Add the onions and let saute until translucent, add the crushed garlic, tomato purée (if using) turmeric powder, crushed chilli, and the coriander powder. Let cook until oil starts oozing out, takes a few minutes. Now add the spinach purée and stir to mix and let cook for some 5 minutes. Add the cream and the garam masala. Toss in the Paneer cubes let cook for 2-3 minutes. Voila! You are done, serve with steaming rice or Garlic Naans! If you want the very bright green-coloured spinach gravy, omit the tomato puree. If you find the gravy to be too thick, add a few tablespoons of water to adjust the consistency. We are two then, I can have this like everyday!! thank you Nandoos, I had it with garlic naan! Was indeed yum, but I have yet to master the mauritian roti, :( I should probably try the Indian roti! Oh yummyy!! 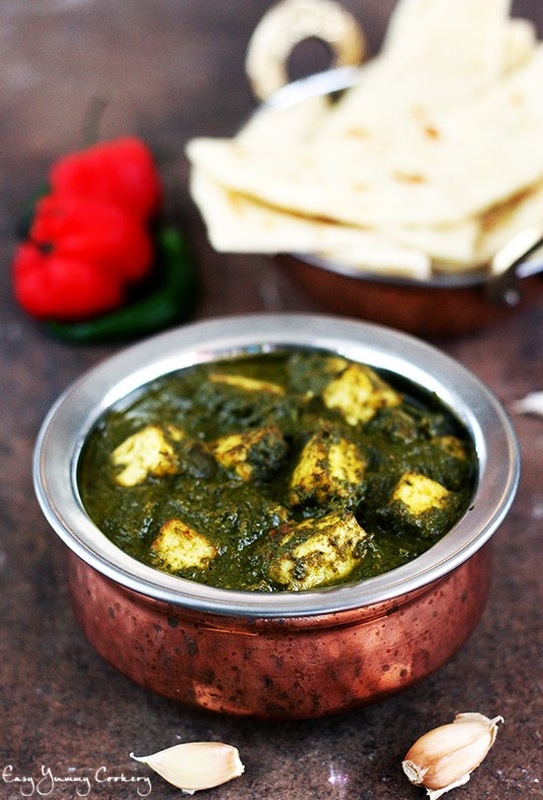 I love palak paneer...your click of the dish is indeed tempting me to have some right now! I don't blame you! Love paneer too, its one of my favourite Indian dish! Looks so inviting........ One of my fav ! !